What is neurofibromatosis type 1 (NF1)? Neurofibromatosis type 1 (NF1) is a genetic condition that causes tumours to grow along your nerves. NF1 is a condition you’re born with. In most cases, the skin is affected, causing symptoms such as: pale, coffee-coloured patches (cafe au lait spots), soft, non-cancerous tumours on or under the skin (neurofibromas), and clusters of freckles in unusual places – such as the armpits, groin and under the breast and also problems with the bones, eyes and nervous system. Certain health problems are often associated with NF1, such as learning difficulties. Less commonly, NF1 is associated with a type of cancer known as malignant peripheral nerve sheath tumours. (tumours) developing in the nervous system. If either the mother or father has the faulty gene, there’s a 1 in 2 chance that each child they have will develop NF2. In other cases, the faulty gene appears to develop spontaneously. However, a person who develops NF1 spontaneously can pass the condition on to their children. It’s usually easy to diagnose NF1 in adults and older children by checking for the typical symptoms. It may be diagnosed in babies who show symptoms of NF1 from birth. However, it’s not always possible to make a firm diagnosis in early childhood because some symptoms take years to develop. If NF1 is suspected, further tests such as scans, blood tests or a biopsy may be recommended. This is to assess whether your child has other symptoms or conditions associated with NF1. If there’s uncertainty about the diagnosis, your child may be able to have a blood test to see whether they have the faulty NF1 gene. However, the test is not completely reliable: around 5% of children who test negative for the faulty gene still develop NF1. Careful monitoring and treatment can help people with NF1 live a full life. However, there’s a risk of developing serious problems, such as certain types of cancer, that can reduce life expectancy. 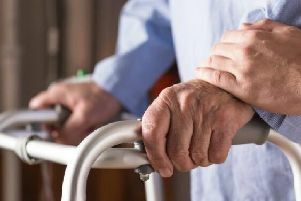 Housing and care scheme for Lancashire's elderly coming to every corner of the county - but is it enough?